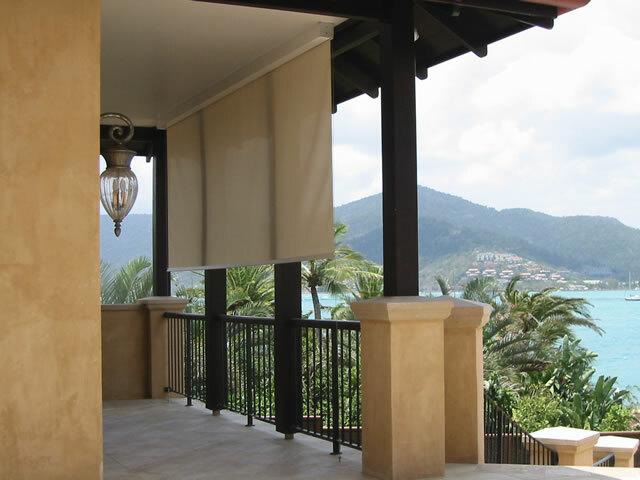 Easily extend your family living area and provide a comfortable outdoor environment for entertaining with our Manual or Remote controlled Gold Coast Outdoor Blinds. 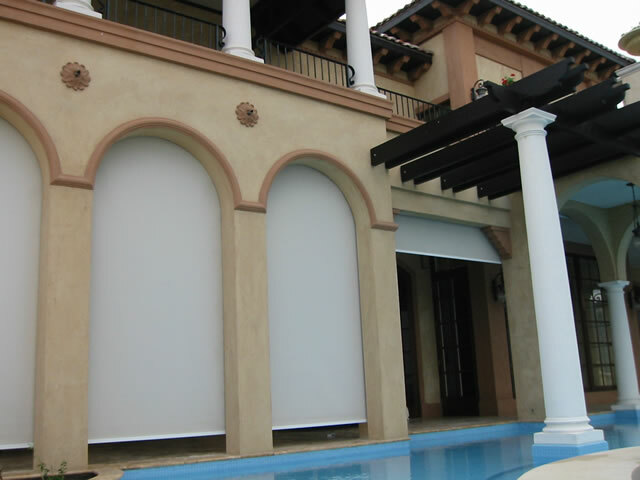 Rivage supply and install a range of quality Outdoor Screens and Blinds to complement any residential or commercial external façade. 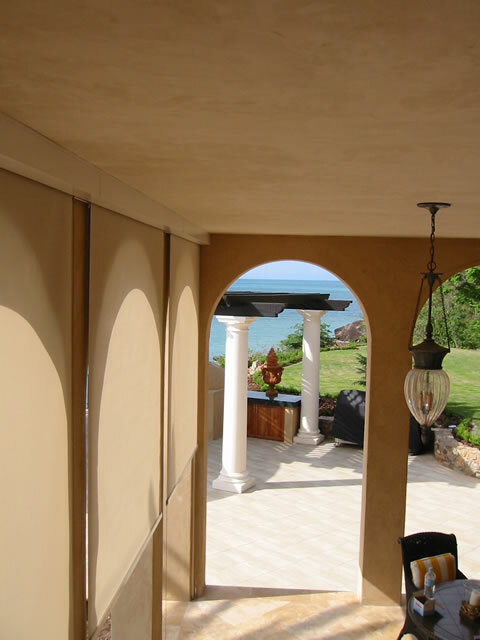 External Screens: Designed to withstand extreme weather conditions, External Screens allow you to easily control the entry of sunlight and heat and help keep your indoor areas cool and comfortable. 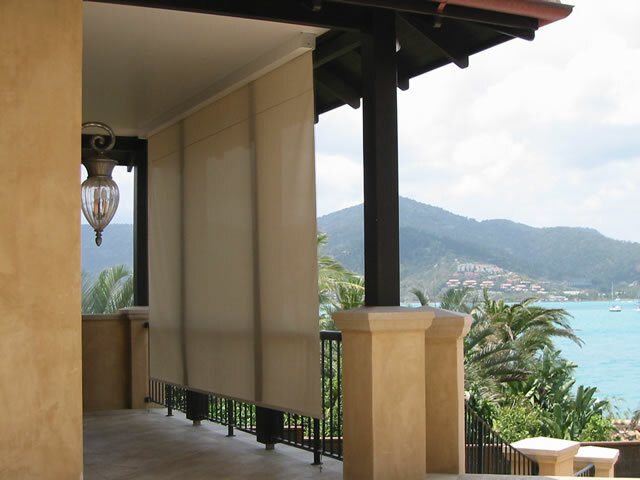 Available in a wide range of fabrics, these Outdoor Screens operate discreetly with stainless steel side cables or aluminium side channels, with the option of motorised control via remote or sun and wind sensors. 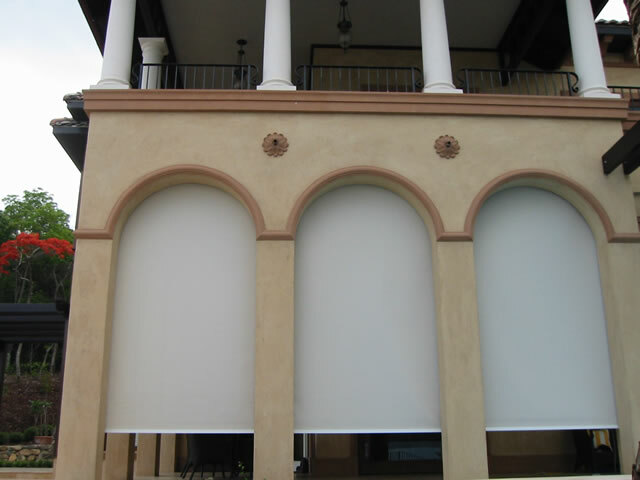 Awnings: Custom made Awnings are the ideal solution to expand your outdoor living space. 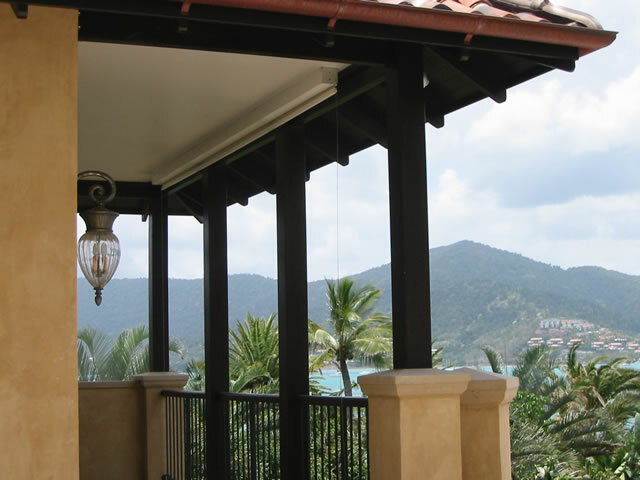 Rivage Awnings are built strong to withstand the outdoor elements while providing protection from the sun’s radiation, and feature high quality aluminium, tear resistant steel cables and durable water and UV resistant materials. 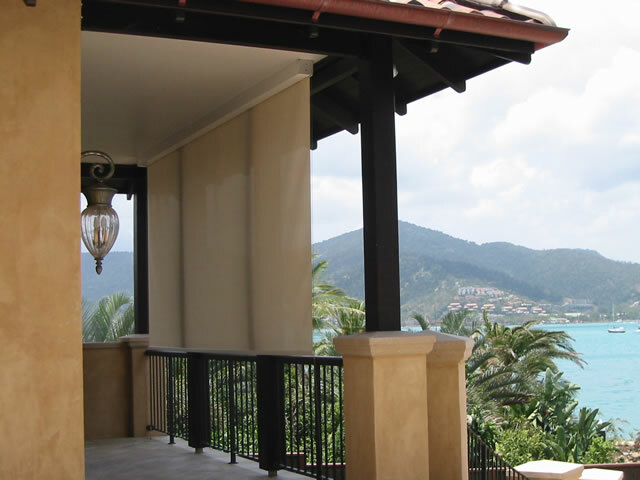 Able to be mounted on the wall or ceiling, Rivage Awnings are customised to suit your individual needs and can be fitted with a Somfy Motorised System for added convenience. Retractable Sunroof: Fitted skylights, glass roofs or large windows allow plenty of light into those former dark and dreary areas in the home or office, but too much light can also make those spaces uncomfortable. Control the amount of light and heat with a Retractable Sunroof, suitable for either flat glass or sloping glass areas. 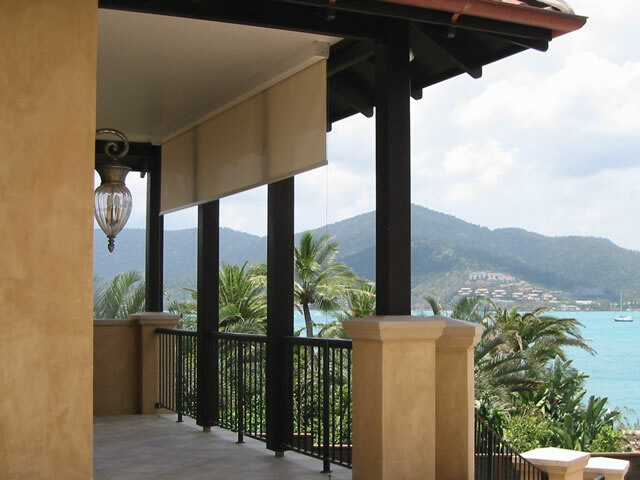 If you need outdoor shading solutions that look good from the inside and outside, talk to Rivage today about our range of quality Gold Coast Outdoor Blinds and Screens. 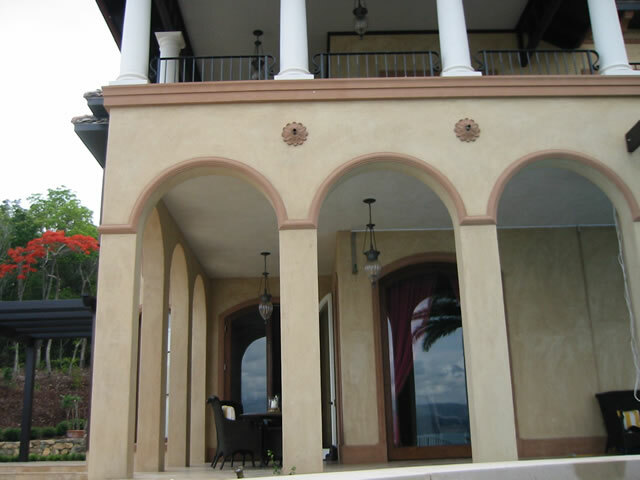 Rivage… we guarantee to improve any view.